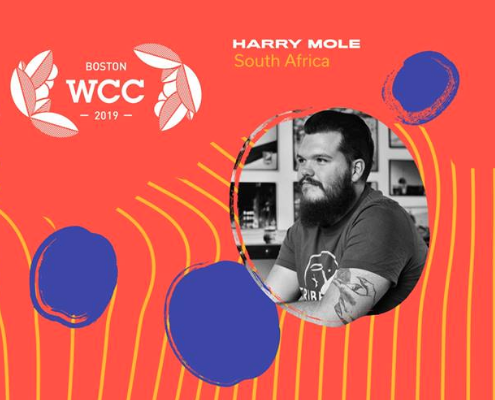 In a little under 2 weeks, our SCASA National Barista Champion, Harry Mole, will be competing at the World Barista Championships in Boston, USA (he got a Visa, yay!). We caught up with him as he goes into final preparations before he and coach, John Evans, leave next Friday. Good luck Harry, we are behind you all the way!!! Hi Harry! How are the preparations for WBC Boston coming along? Hey guys! Things are falling into place. I got the visa approved last week, so I’m very happy about that! So many people have helped me out, both at work , at home and from the most unexpected places. Martin Fitzgerald, got the guys to build a WBC spec set-up at work, so there’s a massive open space where I can train. There’s a few nerves every time I run a set but my Team keeps me steady. John Evans will be travelling with me to Boston, Matt Carter has helped with sourcing, Ishan has been in touch a lot and has been helping with the set and of course, Martin has been invaluable with logistics and pretty much all my office colleagues listening to my speech, so everyone’s been great. I took a day off yesterday and did my favourite thing, watch movies! The best of the bunch was Battle Angel Alita - a weird sci-fi with a very emotional and real storyline! So, tell us about the coffee you've decided on? We got in a lot of samples and it’s been fun tasting them all, but there’s not been a lot of time. 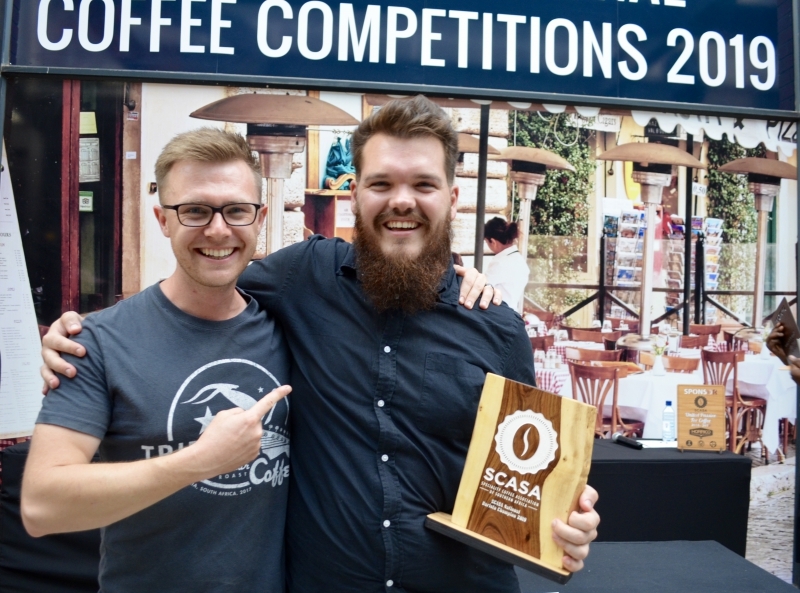 In the end it was my Tanzania, the same coffee from Nationals that won out in a blind cupping, the coffee is still tasting great. It was an interesting decision because we even had a few Geshas and other great coffees on the table, but mine still stood out and won in the blind cupping. We’re planning to have 6 roasts ready on a de-gas roster so we can see which one tastes the best on the day. How is the set coming along? What are you focusing on? It’s coming along well. For the first time I’m trying to connect the emotional element of my Nationals set to the WBC set - but with some more humour and wit. With so many different cultures there at WBC and on the judges panel, I feel like I gotta keep that in mind too. Which part of your set are you most excited about? Because we know the coffee so well, now we can really push it in a few interesting directions, more than ever before which has been very exciting . For the signature beverage I’m trying a Rose hydro floral - more of a aromatics approach for the judges- so you boil rose petals and collect the condensation and atomise it. That’s challenging because it takes 2-3 hours to prepare each time. It'll be great if we can pull it off. How's the day to day going in the build up - is it admin or competition focused? It’s similar to Nationals - you still have to live your life and do your work. So I’ve tweaked my schedule to wake up earlier ( which is hard because I’m not a morning person!) but I’m running sets in the morning and then trying not to think about it much during the day when I’m working or taking time out. 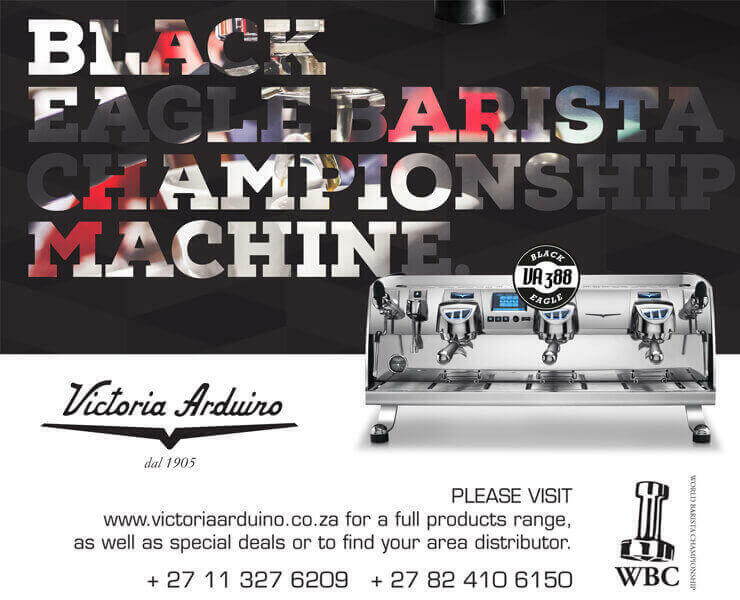 You’re part of Team Espresso with USA, Switzerland, Poland, Iceland and Azerbaijan. I’m so excited to build friendships and mix with those baristas, I think it’ll be such a great experience to work with the National Champions of such interesting coffee cultures. And I think it’s a pretty strong Team! What’s been your most exciting moment in the build up so far? The moment when we were debating which coffee to use at WBC, so we had all the coffees blind on the table, and to reveal that my Tanzanian coffee was the best was pretty phenomenal, especially as I have that connection with Trevor and the Estate. And also, people are helping me with my WBC table boards ( and I’m not a great carpenter!) so that’s been amazing and I’be been getting a lot of support. ONA ( Sasa Sestic, former WBC Champion’s company) contacted us from Australia and they are sponsoring Stem's and an OCD distribution tool. What is your travel schedule looking like? We leave for the States on 5th April, then we have 2 days in Boston looking for signature drink ingredients and milk. We’re staying in a hotel so I’m gonna beg them to use their kitchen to cook up a few things! Orientation is on the 10th. Counter Culture are giving me a practise space on the Wednesday for 90 mins which is amazing. Lem Butler has been in touch and is giving us great feedback - things you’d never think about! And just general good advise, like practising your Prep time setup, leaving enough time to pull shots and taste them on stage during prep time, keeping coffee in separate travel bags on the way over in case luggage gets lost, that kind of thing. He and Kyle (Rammage) are gonna be there to taste shots too with us, which is invaluable. What are you going to wear on stage? 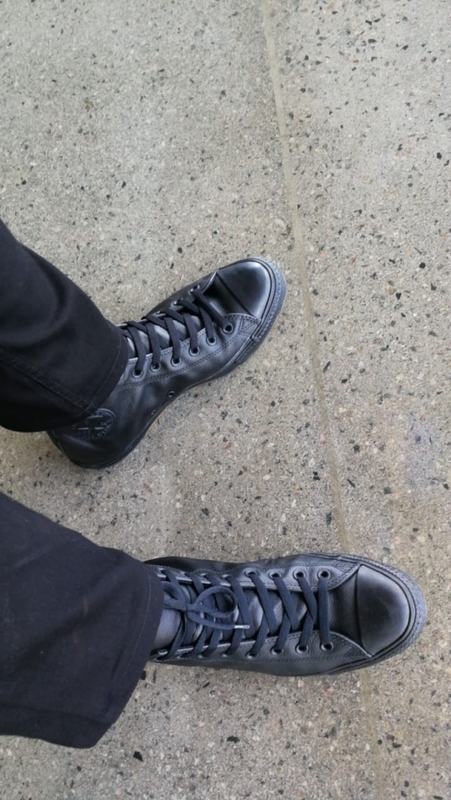 I actually got sponsored a very cool pair of black Converse sneakers, which I’m going to wear with my Levi’s and I have a very cool new apron being made - it’s brown leather, like my Nationals one, but with more material and metal spikes on the back by my neck. I’m just going to be me and wear what I feel represents that. Swag courtesy of Converse SA!